a Creative Commons Attribution-NonCommercial-NoDerivatives 4.0 International License. Ethical Hackers Club aims to make Cyber Space safer and comfortable for every individual. Ethical Hackers Club is operation since 2010 as a Facebook page which was previously known as tips and tricks 2010, and a website Tips and Tricks 2010. Our Founders were motivated to provide free Tech troubleshooting to the readers and to make tech more easy and usable. It was never the less when our site started gaining popularity and we were happy to help people facing the problem. Within a year we received over 60000 queries from across the world and we were able to provide solutions to a large number of people through our website. But we never noticed that cyber world is getting worst each day and few corrupt people don't want solutions and support to be freely available and few from those tried hacking our website and our Site Tips and Tricks was down in 2014. But that was not the end to our mission this incident motivated us in finding new ideas and exploring new boundaries and we included Cyber Security Support to make Cyber Support freely available or every needy. We knew doing this we are directly challenging those bad people but we didn't care because this time we fastened up for such issues. It was since then when our site was transformed to EthicalHackersClub.in which aimed to provide free Cyber Security Solutions and other Awareness Programm. Our mission was widely supported in the tech world. And now we are happy to have provided support to a large number of people especially Girls facing troubles online. 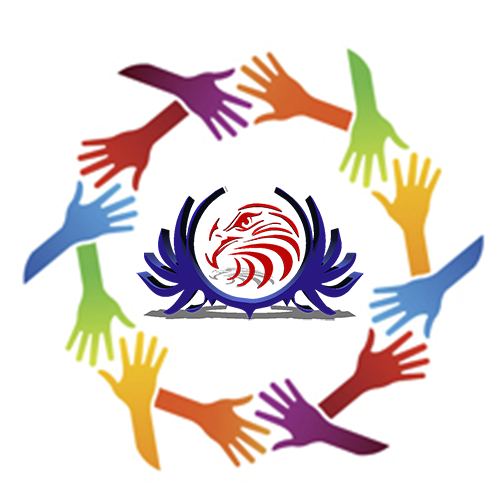 We are free and will always be and We need more people to join us to help us in making Cyber India a safer and a comfortable place for all. We want to plug you into what we’re doing and our goal is to fully engage you in our life-saving mission. So we offer a few creative (and some not-so-creative) ways to plug you in. Something you do can really be helpful for someone in some corner of India. Join Ethical Hackers Club to help people with your skills. There would be someone who is in need of your skills but is not capable of affording it, Get involved with us to help them out. You’ve probably got some spare time, even if you don’t think you do. Why not put that spare time to good use? Get Involved today. Who knows, you may even qualify for some wicked incentives we’re lining up like signed books, conference passes, resume fodder from industry experts, free training courses and much more. However, incentives are only one of the benefits of volunteering. When We first started working in Uganda, we were blown away by the feeling we got when we took the time to give to someone in need. We want to share that with you. We think you’ll find volunteering to be extremely gratifying and quite addictive. Why not join us today? Join Now In order to make solutions and support freely available to Victims, we need to be updated and with good working Hardware. While we are free we depend completely on Donations for hardware and other such expenses. So you can Support us by Donating Hardware to our team. Your financial support is the lifeblood of our organization, and also the primary source of income for the Long family. That’s why we give you options when it comes to donating. You can either support EHC’s various programs or support the Long family directly.